San Francisco’s Road to Zero-Waste: An Unthinkable Goal by 2020? June Mountain is located approximately 20 miles (31 kilometers) north of the town of Mammoth Lakes, California. Opened in 1961, the ski area provides the economic epicenter of June Lake, CA, a small, unincorporated community in Mono County. Unfortunately, on June 21, 2012, the day that the mountain was supposed to open for summer activities, the CEO of Mammoth Mountain Ski Area (MMSA), Rusty Gregory, announced that June Mountain would not open for the summer or for the 2012/2013 ski season and would remain closed for the “foreseeable future.” The closure of this economic staple has devastated the local population while uniting individuals and groups in a common struggle to keep June Mountain open. For economic development, urban planners, and environmental non-profits this is an important modern design case study. 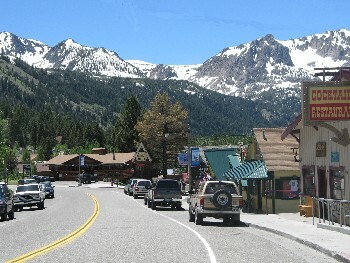 The community of June Lake, California is home to approximately 630 people. The residents rely on tourists who come to the area to ski in the winter and fish in the summer. Located in the rural area of Mono County in the Eastern Sierra region of California, the community suffers from the same seasonal, temporary, under-employment as surrounding and similar tourism-based communities. The Keep June Mountain Open Coalition formed almost instantaneously, in an act of unity, with the goal of reopening June Mountain. The coalition includes members from the June Lake Citizens Advisory Committee (CAC), the Save June Mountain Facebook group, the Friends of June Mountain, and the general public. A letter writing campaign was started in an effort to inform California senators about the issues surrounding the closure of this economic necessity and the speculated impacts. Telecommunications risks since all servicing communication towers are located on top of June Mountain. Additionally, the community is concerned that once the mountain closes, it will be extremely difficult to recover and rebuild the patronage once, and if, the decision to reopen is made. While the community of June Lake is “galvanized” in this effort to reopen June Mountain, like they never have been before, there are some serious issues and difficult steps that need to be addressed. First, the Mono County Board of Supervisors should fund an Economic Impact Analysis. These studies are conducted all the time, most often when large corporations hope to open their doors in new communities. They address issues such as employment, wages, infrastructure, and community benefits. A comprehensive study of this caliber would put hard numbers in the hands of the Keep June Mountain Open Coalition and explain, in detail, the actual impact that closing June Mountain will have on June Lake, CA and the surrounding communities. Secondly, more pressure needs to be put on the Forest Service to issue a letter of noncompliance regarding the Special Use Permit that the ski area obtained to operate on public Forest Service land. Since “The Agency's special-uses program authorizes uses on NFS land that provide a benefit to the general public and protect public and natural resources values,” the Forest Service may suspend or revoke the permit in whole or in part “For failure of the holder to exercise the privileges granted by this permit.” Why they haven’t done so yet is critical for the community to understand if residents want to see June Mountain open for the 2012/2013 ski season. Lastly, the Keep June Mountain Open Coalition needs to do more than repeat the need for more specific June Mountain marketing to MMSA and develop concrete ideas regarding advertisements, special events, and a comprehensive marketing strategy for the June community. Not everything needs to be based around the ski area. June Lake is a beautiful area, with a lot to offer, and could draw many tourists for fishing derbies, music festivals, and street fairs. The June Lake Loop Chamber of Commerce and potentially a new June Lake non-profit organization need to put their ideas on paper and make these dreams a reality. Do you think it's fair for one company to have a monopoly over major tourist industries in an undiversified economy? What would you do to help save the town of June Lake? For more information and up-to-date notices, visit the Save June Mountain Facebook page or check out the Friends of June Mountain website here: http://friendsofjunemountain.com/?q=node/9.